John B. Becker, Jr 84, born in Fort Pierce, Florida died Monday, January 14, 2019. 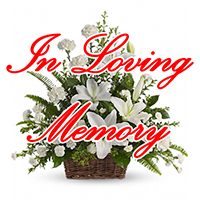 In lieu of flowers the family is requesting donations to Eastminster Presbyterian Church summer camp programs or Codecraft Foundation Inc (a program where John’s grandson, Christopher, volunteers to teach coding to young students), 2428 Irwin Street, Melbourne, FL 32901. Brownlie-Maxwell Funeral Home and Crematory in Melbourne is serving the family.